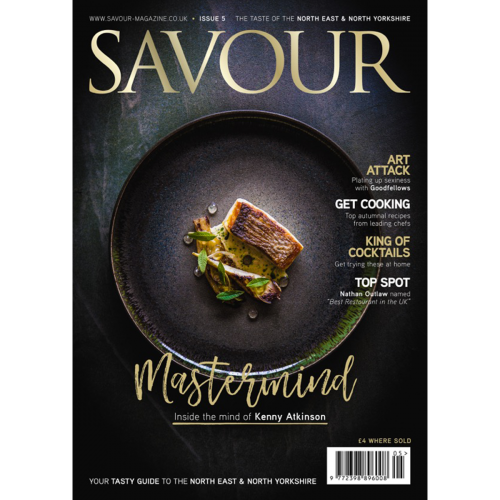 Get Savour Issue 11 Delivered Direct To Your Door. Out now! The first issue of 2019 – Spring. 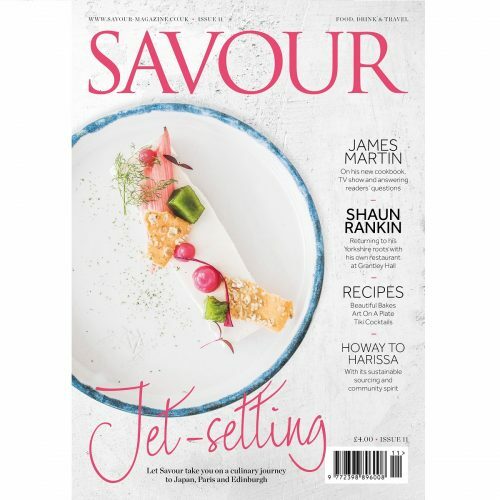 We’re chatting to James Martin about his new cookbook and TV show, Shaun Rankin about returning to his Yorkshire roots with his own restaurant at luxury hotel Grantley Hall, and Quique Dacosta – one of the leaders of avant-garde cuisine in Spain. We round-up industry experts to give you Is Meat Destroying The Planet? – an investigative piece exploring the meat industry in the UK. 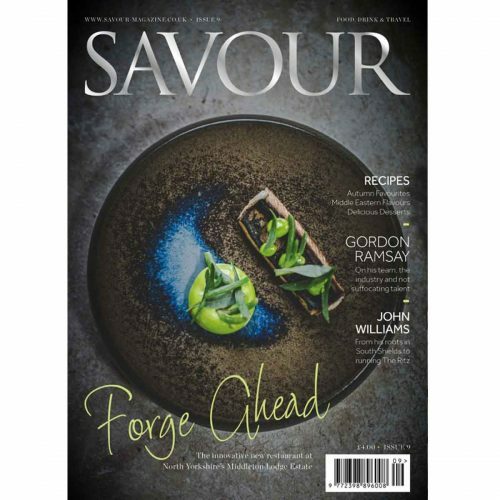 And, to celebrate turning three, we look back in this issue at how far we’ve come in the space of a few years. Get busy in the kitchen with beautiful bakes, Instaworthy dishes and hearty recipes that are full of flavour, as well as some rum-tastic and floral cocktail recipes in our drinks section. In our jet-setting travel section, we take you on a culinary journey to Japan, Paris and Edinburgh. Our cover image comes from Harissa – a fabulous social enterprise in Sandyford, Newcastle that everyone needs to know about. 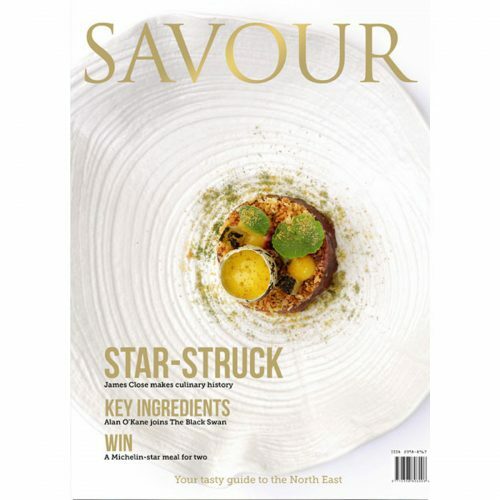 Plus, food reviews from the best brunch spots in London to the best Sunday lunches in the North East, all the spirits on our radar in Spirit School, and why eaux de vie should be your new drink of choice. Feast – order your copy of Issue 11 now.